The Location… Across the street from Battery Park and directly on top of the 4/5 Bowling Green station. The Size… Much larger than most FiDi Starbucks and the line was just far enough removed from the seating area. The Crowd… A seriously crowded Starbucks. The back seating area was completely taken up and the crowd just kept coming. The Line… A wrap-around line that made its way out the door several times in my short stay. The Restroom… Just the one, and it was out-of-order. 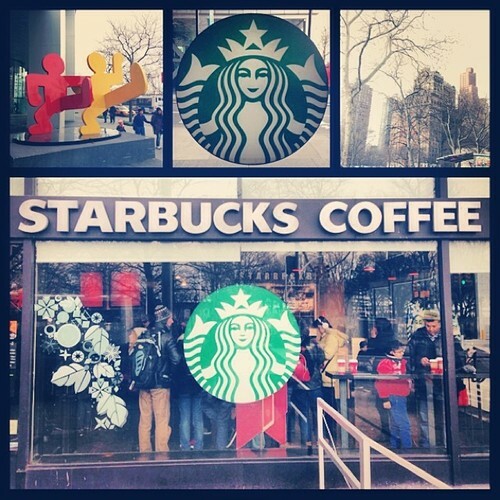 The Starbucks directly across from Battery Park in Lower Manhattan. The Starbucks at State and Pearl in Manhattan is, by far, the slooowest moving coffee line in the city.